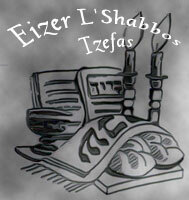 A Simple Jew: Question & Answer With Rabbi Zvi Leshem - So Much Chassidus - What To Learn? Question & Answer With Rabbi Zvi Leshem - So Much Chassidus - What To Learn? Many Lubavitcher Chassidim have told me that the seforim of the talmidim of the Baal Shem Tov and Maggid of Mezeritch and other Chassidic rebbes are often written in terse and fragmented form and contain ideas too lofty to be understood on their own. Furthermore, they maintain that a person cannot truly learn Chassidus without concentrating almost exclusively on the structured and systematic approach to Chassidus brought down by the Baal HaTanya and further elucidated by the rebbeim of Chabad. What do you think the limitations would be if a person focused learning Chassidus solely from Chabad seforim? It is certainly true that, Baruch Hashem, there is an enormous amount of Chassidic material available, and very few people will be able to master all of it, tafasta meruba, lo tafasta! It is also true that people will generally study those works that they find most inspiring (which is certainly a major point in learning Chassidut), and which will probably be influenced by what they have been exposed to and what their teachers and friends learn. Before actually answering the question, let us analyze it as stated here. The question is based upon several assumptions: 1: The works of the Besht, Maggid and other Rebbes are too difficult to be understood on their own. 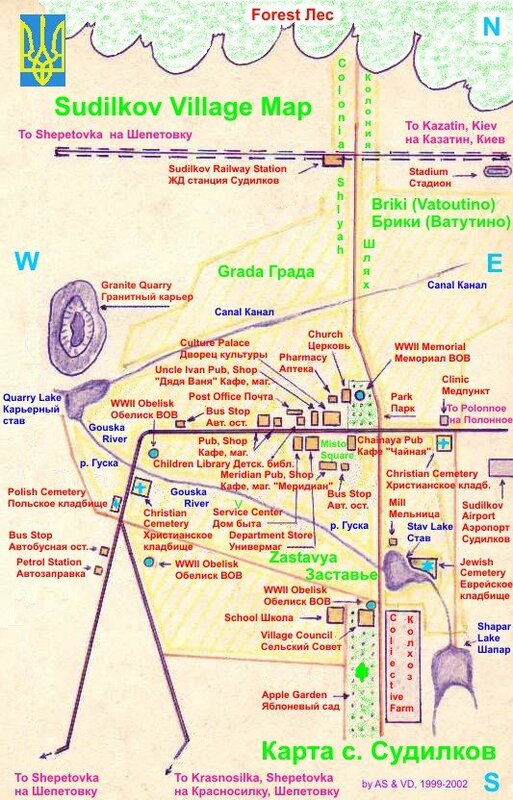 2: Chabad Chassidut is structured and systematic (and therefore more accessible than other Chassidic works). 3: It therefore follows that only by learning Chabad Chassidut will one really understand Chassidic principles, whereas the study of other books is not really worthwhile. 4: I believe that there is a sub-text here as well, which implies that Chabad Chassidut is the only (or at least the most) authentic rendition of the traditions of the Besht and the Maggid, in other words, it is the true Chassidut and therefore it is much more important to study it than it is to study other schools of Chassidic thought. None of these assumptions should be accepted at face value, and therefore the conclusions are also questionable. The Piaseczner writes in Mevo HaShaarim chapter 3 in the name of Rav Zvi Hirsch of Ziditchev that according to Chassidut all Jews need to learn some Kabalah, for without it one cannot really understand the words of the Besht and Chassidut. I would add that without really understand the early works of Chassidut, such as those in the name of the Besht (since he didn’t write them himself.) the Maggid, the Toldot and Meor Einayim etc, one cannot really understand later Chassidut properly. In this context it is also crucial to analyze quotes in the name of the Baal Shem Tov in the works mentioned, as well as in others such as the Degel. Like many people exposed to Chassidut as adults, my education was based upon what the people around me were learning, so I learned lots of Rebbe Nachman, Tanya, Sfat Emet, Mai HaShiloach and Piaseczna before I ever had a chance to go back and learn the earlier works. When I finally did so, I began to realize that much of how I (and many others) understand the later works is based upon a lot of conjecture and loose readings of Chassidic terms and concepts, which were discussed and elaborated by the Besht and the Maggid, usually based upon Kabalah. Once I had studied these ideas in their original context I was able to return to the later works and understand them much better, since I finally understood what they were based upon. Yes these works are often quite difficult, as are many later works. Does that mean we should give up on understanding them – chas v’shalom! Regarding the systematic and structured nature of Chabad works, it is certainly true that the Tanya itself is extremely well structured and the Alter Rebbe certainly doesn’t need my haskama. I have also found the kuntresim of the Rashab to be this way as well. However is this true of all Chabad works? I don’t think so. When one learns Lekutai Torah or Torah Or, while they are certainly systematic works, I don’t think they can be called structured in the way that the Tanya is. I also think they (and many Chabad seforim) are very difficult works, often more difficult than other types of Chassidut. Additionally, other Chassidic works can also be shown to contain internal structure and consistency, even if it is not as self-evident as in the Tanya. This is certainly true, for example, of the Piaseczner’s educational writings. In my opinion, those who study only Chabad Chassdut, are limiting themselves in many ways. Chassidut is a very varied phenomenon. While we tend to read everything through the traditions of the Maggid, it is important to remember that the Besht’s other students (the Toldot being the obvious example) are also holy and crucial, and influenced later works. Within the tradition of the Maggid, the Piaseczner writes in Mevo HaShaarim chapter 5 that the two main trends in Chassidut following the Maggid were Chabad and Karlin, (“avodat hamachshava” and “avoda peshuta b’koach” respectively), which to some extent he is trying to synthesize. If we look at the third and fourth generations of Rebbes, such as the Noam Elimelech, the Chozeh, Reb Levi Yitzchak, the Koznitzer Maggid, Rebbe Nachman and the Alter Rebbe, we see that for all their greatness in Chassidut, they were all very different. And yet they are all authentic representations of the Besht’s path. Why should we close ourselves off from all of their beautiful teachings? Great thinkers within Chabad, such as the last Rebbe zt”l, Rav Steinsaltz shlit”a and Rav Ginzburgh shlit”a did not do so and they quote non-Chabad material as well. The latter two have written extensively regarding Breslov Chassidut in various contexts. Lubavitcher Chassidut, for all of its centrality and importance, is not for everyone. There is a reason why HaShem revealed Torah to the world also through Breslov, Lublin, Pryshischa, Ishbitz etc. In fact, Rav Ginzburgh writes in "Transforming Darkness into Light" that whereas Chabad is for Beinonim, Polish Chassidut (Noam Elimelech) is for Zaddikim, and Rebbe Nachman is for Reshoyim (ayein sham!). It follows that one brand of Chassidut certainly can’t work for everyone and that any one aspect is lacking by itself. I would state additionally that the way that they have woven other types of Chassidut in with their primarily Chabad writings has greatly enriched Chabad Chassidut as well. 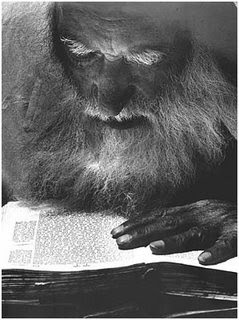 In summation it seems to me that even though there is a massive corpus of Chabbad works that one could certainly fill their learning time with, one who does so is cutting himself off from a very rich world of other important ideas and approaches within Chassidut that cannot be ignored. May we merit HaShem’s guidance in our study and internalization of Chassidut and to further the holy work of “yafutzu maayanotechah chutzah”! Rabbi Leshem says the last rebbe. This is the major difference. The "last rebbe" is the Current Rebbe. A Lubavitcher Chassid follows his Rebbe, especially as a student-teacher relationship. A chassid learns from his rebbe. If you are not a chassid, you will search for lots of various works. Nobody should ignore the "Mah shelibo chofetz" aspect of the issue. In theory, learning from a number of seforim makes sense. The more the merrier, right? In that vein, I purchased many seforim: Noam Elimelech, Oheiv Yisrael, Meor Eynayim, Degel M"E, Likutei Moharan etc. None of them appealed to me. And learning one page from each a day didn't work either. So I stick with the Chabad seforim, but not because I disdain the other approaches. "It follows that one brand of Chassidut certainly can’t work for everyone and that any one aspect is lacking by itself. " In the most recent post Rabbi Leshem says clearly one should study Chabad chassidus"
Well which one is it ? Just a few random notes. 1. Studying the seforim of Reb Arele Shomre Emunim and his son in law Rabbi A.I. Kohn (Divre Emoone) one gains a feeling of warmth and closeness to G-D on the emotional level. Its like experiencing a spiritual flame thrower. 2. The short Tores of the Rizhiner school are sort of Chabad lite, similiar concepts but even more synthesized for the people. 3. Many of the other Chassidic seforim also speak of the Zaddik and the power of zaddik Be-emunosos YECHAYE . 4. There are also special rebbes like the Piasetzner and Husyatner whose subject matter and take on hashkofe is sui generis and thats a must to study. Finally there is a whole genre of Chabad seforim by Kopust( including Shemen leMaor) and other Chabad rebbes. I have not studied them , but they may also be interesting. This phrase of R. Ginzburg sound totally ridiculous. Anon#1: This is not correct. Nowhere Lubavitcher Rebe sais, that one who learns Chasidus form different sforim is not a chosid (of him). But in general I agree with Rabbi Zvi Leshem. 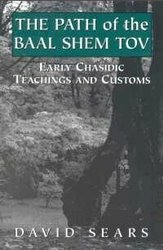 One can't understand many aspects of Chasidus thoroughly, if one doesn't learn early sforim, those of Talmidey Baal Shem Tov and Talmidey Maggid in particular. With all due respect, I find it highly odd to ask someone who is clearly not a Chabad Chossid (which is fine), nor one who specialises in studying it, concerning his opinion of the importance of Chabad Chassidus, etc. Is this his area of expertise? I also think it is unfair that in your question you quote Chabad Chassidim without asking them for their sources first, and examining them inside. Also, were these statements made by respected Chabad Mashpi'im, or those far less educated? These statements were made by an elderly and well-learned chassid. You didn't address my 1st concern above. Also, perhaps you could show your above summary of his words to him and ask him if he believes that you presented it accurately and fairly. On the first point, you are entitled to your opinion. On the second point, I am confident that I conveyed his words accurately. Really? He said to "concentrate almost exclusively"? Yes. I suggested that we learn Kesser Shem Tov, and he steered me right back to Tanya. That may be, but if that's your only basis for your characterisation of his opinion, I think it's unfair. Did he actually use the phrase that you attribute to him? I didn't say that I quoted him, only accurately conveyed his sentiments. I am not trying to spin anything. I'm not suggesting you were, only that I would doubt that he put it that way. then by rav ginsbug i am i rasha. I am coming from the opposite end of the spectrum. I learn all Chassidus except Chabad. Rabbi once told me he learned all of Tanya then he learned all of Likuttei Moharan. He described Tanya as being the equivalent of about 2 Torahs in Likuttei Moharan. If you actually study works of the the Toldos, or even things the Baal Shem Tov was known to have said and then go to L"M you'll see it's a refresher. Chabad is all based on the way HE, the Baal HaTanya, understood Chassidus. So I agree with those who say go back and learn the earlier seforim. It is very worthwhile and closer to the source.